2015 Sea Ray 350 SLX 2015 Sea Ray 350 SLX twin 300 hp MerCruiser 350 MAG MPI AX Bravo III, approx. 50 hrs., Axius Steering; Raymarine c95 Chartplotter; two tone gel coat; Opening Canvas Section in Fiberglass Top; Extended Sunshade; Shore Power with Converter; Inverter; Docking Lights; LED Lighting; Premier Stereo Upgrade; Electric Grill; Air Compressor; Bow Side Table & Cockpit Table FBG with Teak Overlay; Teak Flooring: Cockpit & Deck Entrance Steps, Swim Platform, & Walkthrough; Bow Beach Boarding Ladder; Automated Submersible Swim Platform; S/S Anchor; Windlass. Please call or stop by to see this beauty!Disclaimer: Specifications believed to be true, but not guaranteed; owner should inspect prior to purchase; this vessel is offered subject to prior sale, price change, or withdrawal without notice. 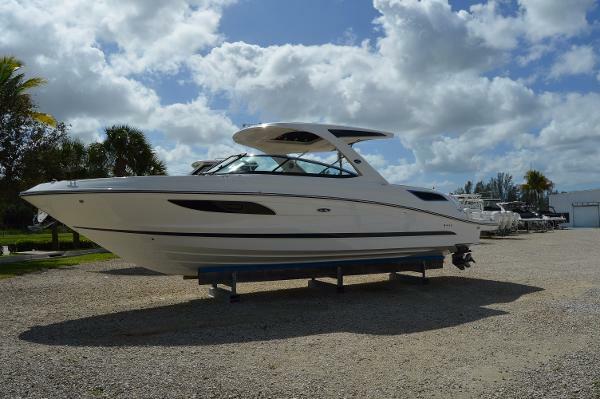 2015 Sea Ray 350 SLX This 2015 Sea Ray 350SLX is a buyers dream come true! It is a one owner boat that has always been kept on a hoist in a covered slip on a fresh water lake. It has been washed every 2 weeks since new and has been maintained by our award winning service department. The big news is that it only has 18 hours on it! This is literally a new boat that just needs someone to start enjoying it. 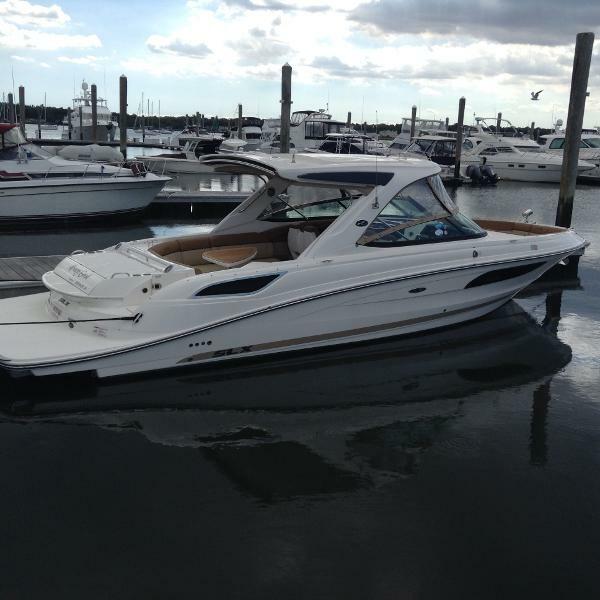 The Sea Ray 350 SLX is the flagship of Sea Rays luxury SLX line. It has room for you, and 17 friends or family. The luxury bow rider is a great way to enjoy time on the water. This one has a hard top with retractable opening, the extended shade for the cockpit of the boat, hydraulic swim platform, cockpit grill, air conditioning and TV, teak floors and much more! The twin MerCruiser 8.2MAG 380HP engines will push this boat above 50mph and the joystick steering makes it a breeze to park. A prime slip on Lake Travis is available for lease with purchase of this boat, and a 15,000 pound capacity hoist is available for purchase. 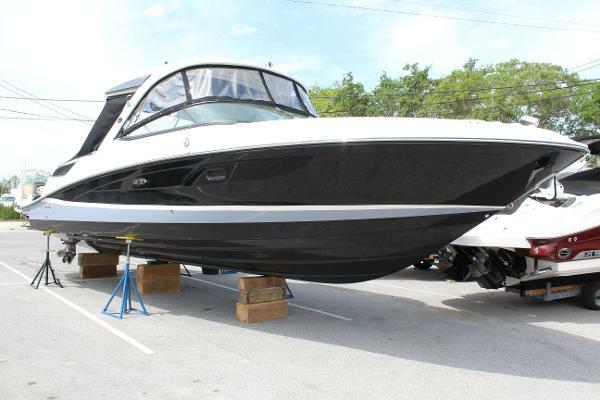 Call today to schedule an appointment to see this amazing boat! 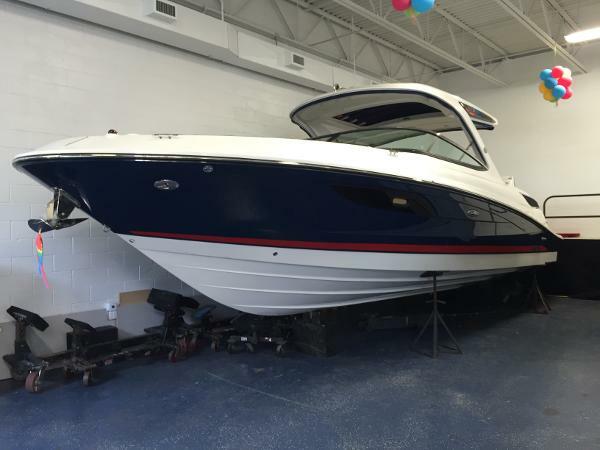 2016 Sea Ray 350 SLX This is the ultimate day boat! 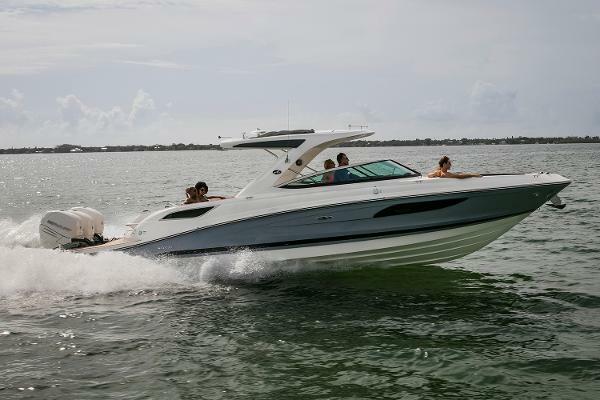 The Sea Ray 350SLX is the market leader in luxury large bow riders. This 2016 350SLX has virtually every factory option. It has the retractable sunshade, hydraulic swim platform, cockpit grill, cockpit fridge, cockpit air conditioning, vacu flush head, led lighting packages, premium stereo, upgraded dash electronics and plenty more! This is a one owner boat that was delivered brand new in July. The twin MerCruiser 8.2MAG 380hp engines with Axius give this boat awesome performance and easy docking. At only 52 hours, these engines are barely broken in. The owner has had a change of plans, so you can have a like new boat and save lots of money from a new one! This boat is still covered by the original factory warranty. It has only been on a fresh water lake and has been stored on a hoist in a covered slip. 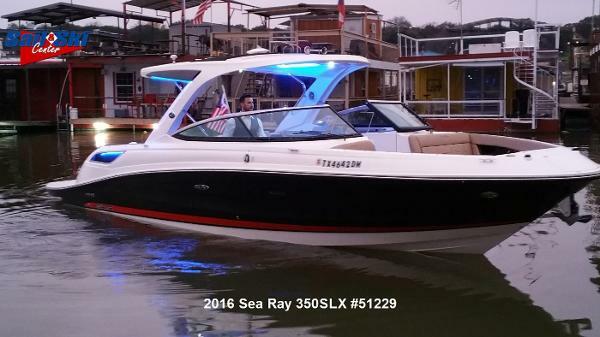 2014 Sea Ray 350 SLX Lake of the Ozarks Freshwater 2014 Sea Ray 350 SLX A truly excellent on-water experience starts with more. More friends, more family, more room, more power, more ease and more fun. The Sea Ray SLX 350 delivers in every sense. The thoughtful layout of the 350 SLX offers seating for 18 while underway. 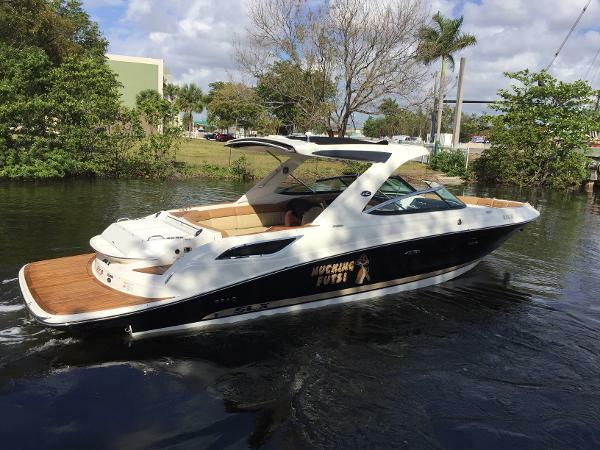 This 2014 350 SLX is a one owner boat in is incredible condition. 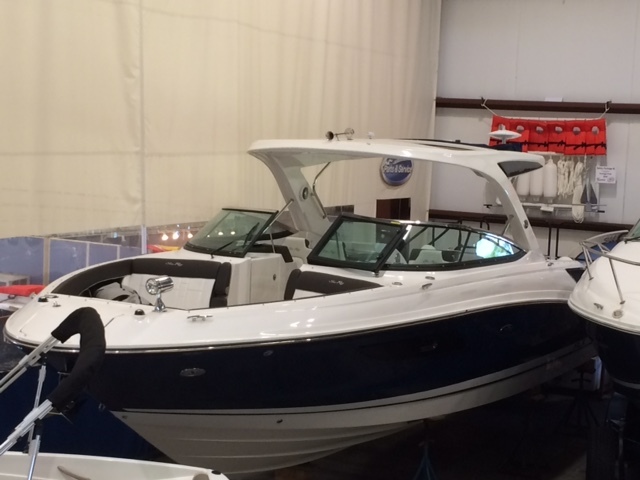 This 2014 Freshwater Lake of the Ozarks Sea Ray 350 SLX has been well kept and has been maintained by the local Lake of the Ozarks Sea Ray dealer. This vessel is powered by Twin Mercuriser 350 MAG MPI-Bravo 3 drives with 66 hours on the engines. Other notable features include the Raymarine Digital Dash, automated submersible swim platform, retractable Sunshade Bimini Top, windlass with stainless steel anchor, docking lights, underwater lighting and much more. 2017 Sea Ray 350 SLX Outboard Introducing the new Sea Ray SLX 350 Outboard, delivering all the benefits of the popular SLX 350 with the addition of premium Mercury® Verado® outboard power. This is a no-trade-offs vessel: Enjoy more space for friends and family, more power for the activities you love, more ease, more style and more fun all around. An array of Sea Ray's Next Wave innovations-from the noise-quashing powers of Quiet Ride to the precision and stability of Dynamic Running Surface to the agility of joystick piloting technology-take the experience to the next level. And a host of intelligent features combine in a sleek, stylish package that exceeds all expectations. In short, the SLX 350 Outboard will make you want to spend even more time on the water. 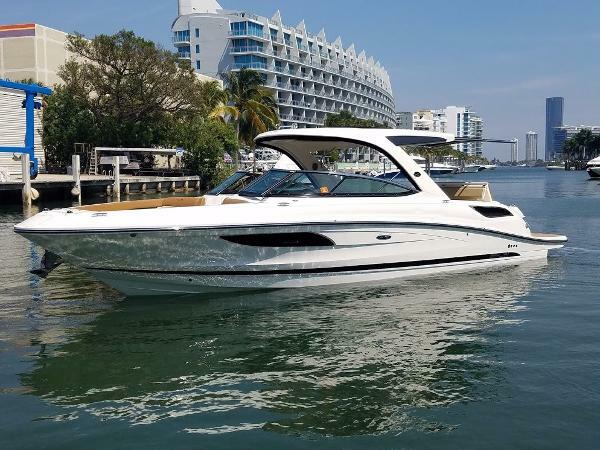 2017 Sea Ray 350 SLX A truly excellent on-water experience starts with more. More friends, more family, more room, more power, more ease and more fun. 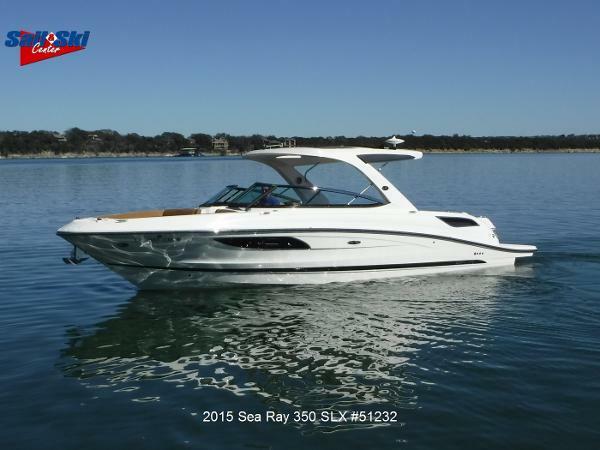 The Sea Ray SLX 350 delivers in every sense. Yacht Certified and a standard wet bar with refrigerator make entertaining a must. An array of Sea Ray's Next Wave™ innovations-from the noise-quashing powers of Quiet Ride™ to the precision and stability of Dynamic Running Surface to the agility of Axius® joystick technology-take the experience to the next level. And a host of intelligent features combine in a sleek, stylish package that exceeds all expectations. In short, the SLX 350 will make you want to spend even more time on the water. 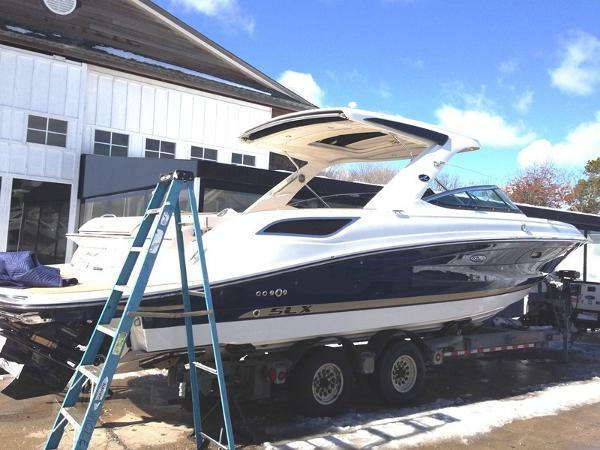 2015 Sea Ray 350 SLX Nearly every option on this LOADED 2015 350 SLX. 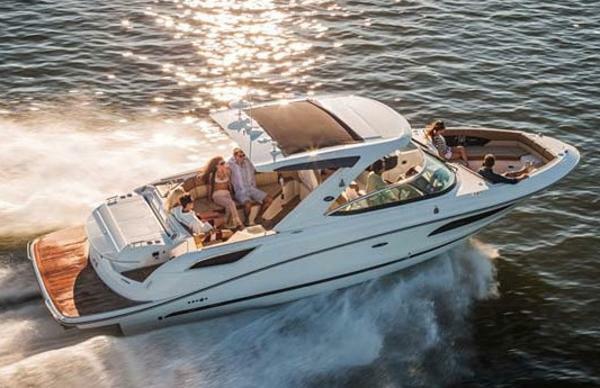 Experience Sea Ray's flagship Bow Rider with room for 20+. 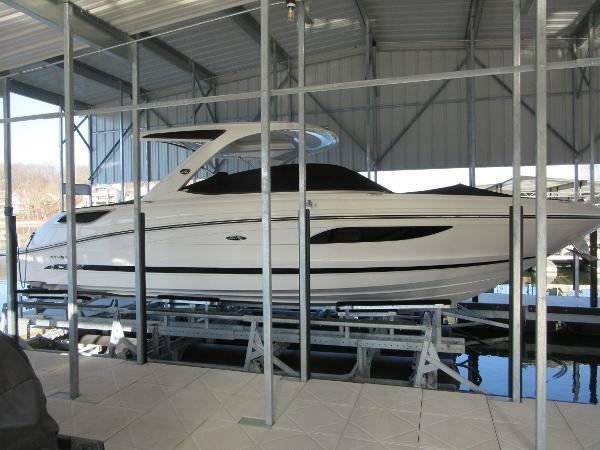 4 seasons remaining on Sea Ray's unmatched 5 year bow to stern warranty. Under 40 Hours! -Twin Mercruiser Axius 8.2 MPI Bravo 3's -Blue Hull w/ Tan Painted Stripe -Hard Top w/ Opening Sunroof -Electric Aft Sunshade -Full Teak Package(Cockpit, Swim Platform, Walk Through) -Automated Swim Step -Hydraulic Teak Cockpit Table -Remote Spotlight -Custom Installed 12" Raymarine E-Series -Raymarine HD Radar -Raymarine AIS system -Raymarine VHF -Satellite Radio -Satellite Weather -Cockpit Heat Vents -Upgraded Cabin Option -Vaccuflush Head System -Through Hull Anchor Windlass w/ Stainless Steel Anchor -Stainless Steel Windshield -LED Lighting Package -Cockpit Refrigerator -Underwater Lights -Digital Dash System -And MORE!